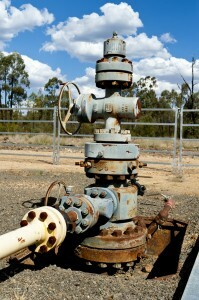 The Greens NSW spokesperson on mining Jeremy Buckingham today accused the O’Farrell Government of covering up after they blocked a motion in the NSW Upper House for all documents relating to the aquifer contamination incident and investigation, as well as the MOU to fast track the assessment process for the Santos Narrabri coal seam gas project. “The Greens are very concerned that there has been collusion between Santos and government departments and the denial of documents only increase our concern,” said Greens MP Jeremy Buckingham. “The citizens of NSW are entitled to know why the EPA took so long to report the aquifer contamination, why the fine was so tiny, and what happened behind the scenes? “There is concern that the EPA is far too close to industry and evidence of collusion with Orica to downplay pollution incidents. We are very concerned that the same thing has happened with the Santos pollution incident that resulted in an aquifer having uranium at 20x safe drinking water levels, as well as heavy metals such as lead and arsenic. “Was the government aware of the aquifer contamination incident when they signed an MOU to fast-track the Santos Narrabri coal seam gas project? “Barry O’Farrell promised a more accountable and transparent government, yet they act the same as when NSW Labor were in office by refusing to release this information to the parliament. “The Greens will attempt to access the information through a Freedom of Information request,” he said. Seriously! Can the documents be obtained through FOI? Makes me want to read them more than ever now. And as for the Shooters etc – why would they not want to see this information themselves – is it because they cant read? They are certainly giving the impression that they cant think.